Warning- if you watch this film you may find yourself on the start of a very long walk next year! A film that captures the beauty, challenges, successes and failures of an epic journey. This is one of the best documentaries I’ve ever seen, and when it ended, I felt I actually knew the people we follow on the PCT. It takes a special kind of person to drop everything and walk through the woods for five months. But in a way, these hikers are just like you and me. They have jobs and families, they love their creature comforts. Yet something pulls them to be in nature, to leave everything behind and embark on what’s called a thru-hike. 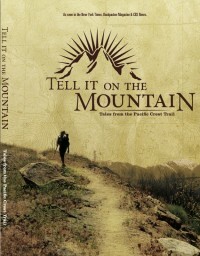 Thru-hiking the Pacific Crest Trail involves walking 2,663 miles from Mexico to Canada. The journey lasts from April to October. That translates into about 20 miles a day, every day—on foot. These brave souls face bone-dry deserts, raging rivers, snow-covered mountain passes, mosquitoes, blisters, torrential rains… and the urge to quit. Digital Download and DVD available!